If you’re writing a formal letter to someone it’s not very elegant to just paste links or e-mail addresses inside the document, especially if the link is longer than a paragraph. 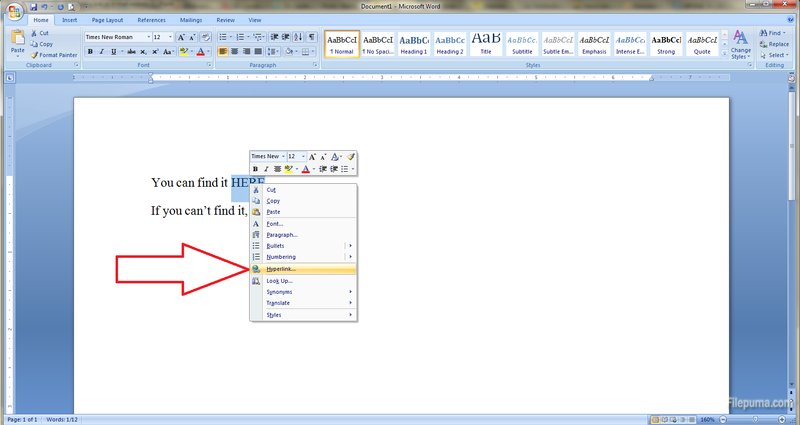 However, you can “hide” them into the text itself and it’s very easy to do. Here’s how! 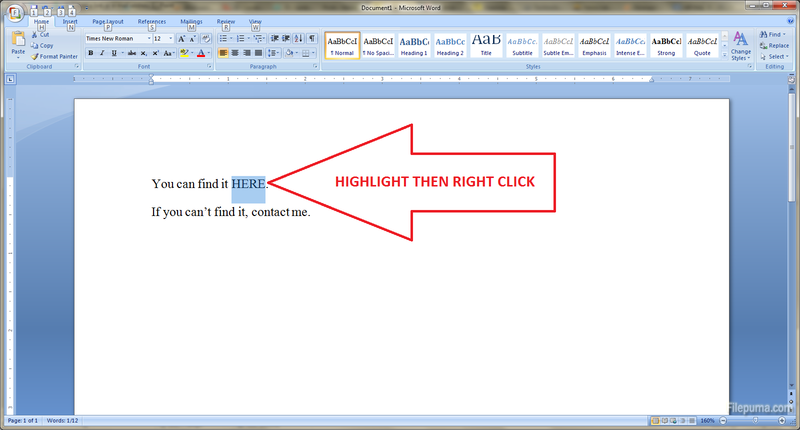 Step 1: Open the document and highlight the text where you want to insert the web address. Then, right click on the highlighted text. 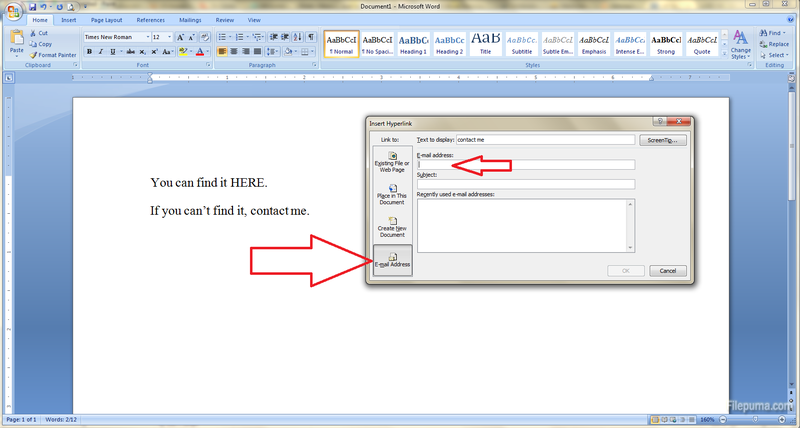 Step 2: Select the Hyperlink option from the drop down menu. 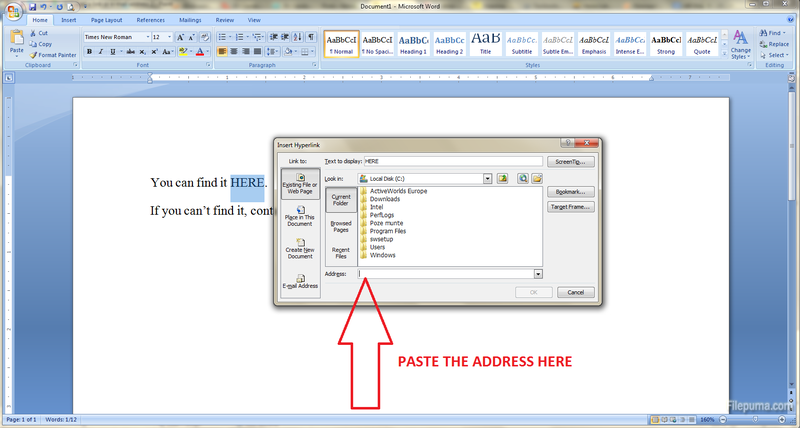 Step 3: Paste the web address in the Address field below. Of course, you have to copy it from the browser before that. Step 4: If you want to add an e-mail address just repeat the first 2 steps and select the “E-mail Address” tab from the Insert Hyperlink window then insert the e-mail address.